Paul Brant Williger has over 30 years of Custom Residential Architecture experience, is a graduate of Columbia University's Graduate School of Architecture, and is on the Board of Directors of the Institute of Classical Architecture and Art (ICAA). Before graduating from Columbia University, he received an undergraduate degree in Architecture from the University of Illinois and Champaign-Urbana gave him the opportunity to study architecture in Versailles, France. It was while he worked for Robert AM Stern, a professor of his, during and after his studies at Columbia University, where Paul was introduced to traditional residential architecture. Upon arriving in California six years later, he became the lead on several projects he completed with other firms. Until 2013, Paul was a Principal at Appleton & Associates for well over a decade, running his own projects out of that office. Eventually, it made sense to start his own firm and bring over his clients, and in 2013 was successful in doing so. Starting with a half dozen of major custom residential projects located in Woodside, Laguna Beach, and Beverly Hills, he has since expanded and taken on additional projects in Los Angeles, Montecito, and Malibu. L & S Architects, Inc.
Lewin Wertheimer brings three decades of design experience to his custom architectural practice based in Venice, California. While we are well versed in vernacular architecture, we approach each project with no preconceptions. Instead, every home starts from our clients vision, from which each project takes shape through our architectural expertise. The result is comfortable, functional space, entirely original, which integrates the nuances of tradition. Equally experienced in new construction, restoration, and remodeling, we pride ourselves in our collaborative relationships and our thorough project management. The partnership of Lewis / Schoeplein Architects was founded on the belief that good design is paramount to a successful project. We strive to produce projects that seamlessly combine beauty and functionality as an end product, and use effective team relationships as a means to that end. As a firm we are particularly interested in the adaptation of physical spaces to sustainably meet the demands of modern life. We believe a physically present society is important, and our projects look to create places where we can not only comfortably use our smart phones, but also comfortably put them down. 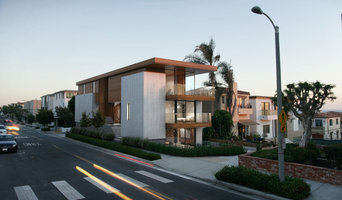 How do I find the best Los Angeles, CA architect for my home design or renovation project? When building or renovating your home, you don't simply hire an architect or building designer — you build a relationship with them. Be sure you chose a home architect who will be involved in all phases of the design process, from the initial concept to the completed construction. Architecture is an incredibly technical profession and one where getting things wrong can literally put lives at risk, so ensure you hire a professional with a valid license or an architectural firm to maintain high quality and standards. Your next consideration will be architectural style. Some residential architects specialise in designing traditional homes or farmhouses, others in designing modern replicas of traditional homes. While a few have a knack for imagining bolder, more futuristic architectural design in Los Angeles, CA that incorporates the latest technology. How much does hiring an architect in Los Angeles, CA cost? Home construction and renovation often have a preset budget and hence it is important to understand how much architects charge. While there is no set payment structure, independent architects may charge differently from architectural firms. Architects sometimes choose to calculate their fees on the basis of a per square foot rate. In rare cases, especially with smaller projects, Los Angeles, CA architects may choose to ask their clients for a fixed fee. Make sure the total figure and payment schedule is agreed as part of your contract, particularly if you are trying to accurately estimate the cost of building a house. 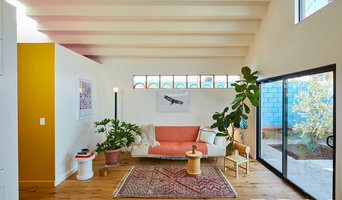 Find a home architect in Los Angeles, CA on Houzz. 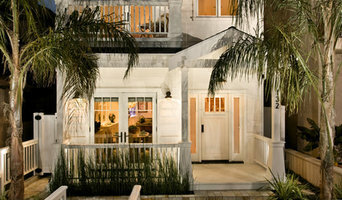 Narrow your search in the Find Pros section of the website to Los Angeles, CA architects. You may also look through photos projects to find building designers in Los Angeles, CA who have worked on a project similar to yours.